[NEWS] 120705 ‘Dr. Jin’ Kim Jaejoong, secret to acting is ‘tearful eyes’? He entered hurriedly. The man who apologized several times and sat down was actor Kim Jaejoong. He is the JYJ member who is acting as an upright military officer, Kim Kyung Tak in MBC’s Dr Jin. In the afternoon of Jul. 5, a press conference for MBC’s Dr Jin was held in Iljuk-myeon, Anseong-si, Gyeonggi-do. Even though filming was behind schedule and Kim Jaejoong was about 30 minutes late, we could see his look as he answered questions in the remaining time. 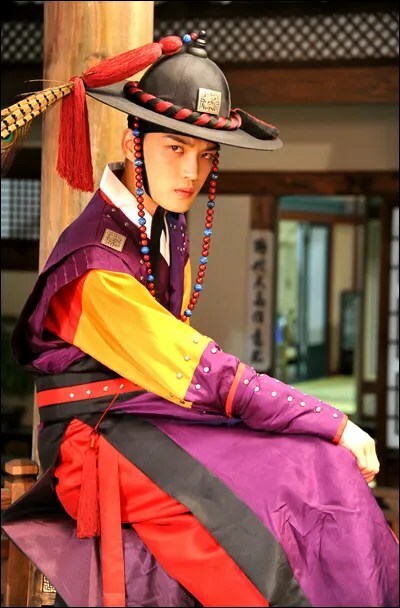 Must say Jaejoong’s role in Dr. Jin is the most difficult one when compared to his previous roles. At his age, we think he has achieved more than we have expected. and extraordinary passion to improve acting skill. In real life, Jaejoong , you win fans’ hearts just because you don’t act. you express and speak candidly , you’re who you are. He’s doing so well!!! So happy! And lol at them bringing up Ji Sung. I’m a big new fan of Jin Yi Han’s though. I think he is really a good actor and, oh my — so handsome. I hope to see him in other things. Thanks for the translations Admin. This show is getting better & more intense, hope the ratings will increase as well, although it’s current ratings are still impressive for a weekend drama. Jaejoong is doing an outstanding job in his first historical drama, he is blending well with the other seasoned and more experienced actors & actresses. All cast in this show are excellent & I came to know and admire a few of them. Jaejoong has come a long way in his acting, & it’s a pleasure to watch him improve and grow as an actor in each episode. The role KKT is a complex character, & in my opinion the strongest and most attractive in the cast, as he is always on edge, and torn between being loyal and faithful to his father or siding & helping his best friend and love who were wronged and robbed by his very own powerful clan. Jaejoong is acting the role perfectly, with his unshed tears & expressions making this grey character the most anticipated and fun to watch at least to me that is. I like JJ the most as a singer, for his voice is this the main reason that I come to admire such a person. Watching him act in Heaven postman, Sunao, protect the boss, and now Dr jin, has led me to discover and admire other charms and qualities that has been hidden before. It’s a pleasure and honor to travel this journey with him, he who is always inspiring and persevering. This is one detailed article! 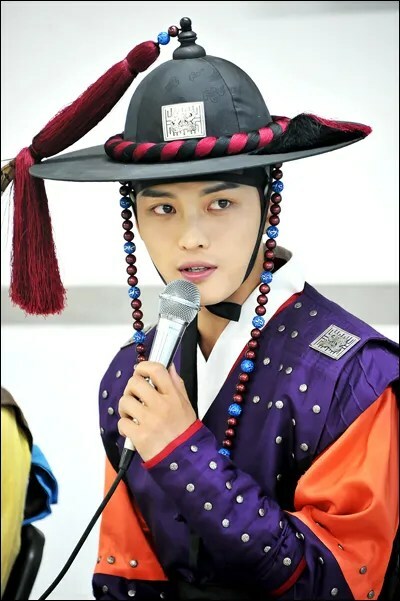 To say that I’m biased when watching Dr. Jin isn’t entirely correct, because in the drama, I only see Kim Kyung Tak, I don’t see Kim Jaejoong. The character is just attractive. Up until now, Kyung Tak’s still the only one whose future remains unpredictable. How Jaejoong breathes life into Takie is appropriate, superb even. I don’t imagine his character any other way. Everyone can see that Jae is diligent and never stops learning to improve himself despite all the harsh words that he can’t act. Takie is well-received and has got viewers’ sympathy. It’s what matters rather than what some prejudiced people have gotta say. As Jae said, Takie is trying to protect his own belief, so I can always see a reason for his doings. I can’t blame nor hate him even when he set the village on fire or killed that palace maid. I’m looking forward to seeing a stronger Kyung Tak who will stand on his own and say “screw you!” to anyone who tries to control and take advantage of him. Btw, what do Jaejoong’s number of fans have anything to do with Bumsoo’s? I hope no fan makes a fuss about it because it’s really ridiculous.